← Happy 90th Birthday to Dr. William J. Kirwin! First phase of digitization is complete! 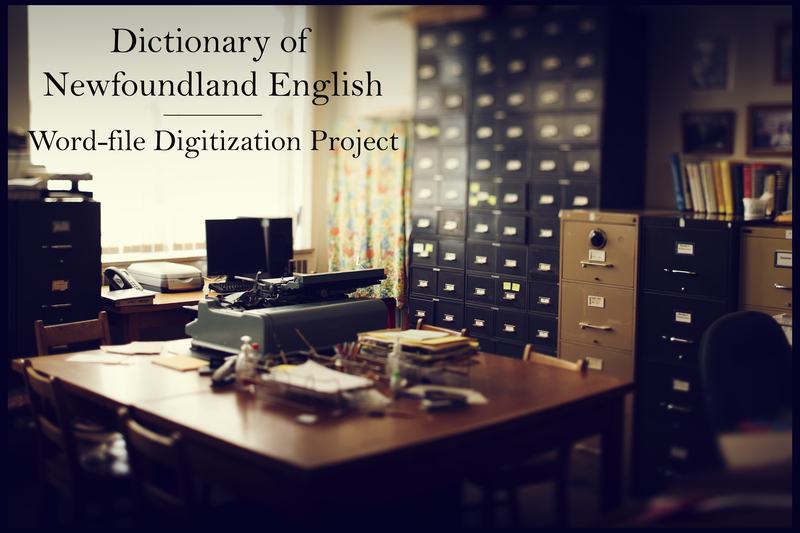 Today marks the end of the first phase of the Dictionary of Newfoundland English Word-file Digitization Project. David Browne, one of this semester’s MUCEP students, digitized the very last card this morning. The last card digitized was for Tyfoy (Typhoid) fever, fitting since everyone and their dog seems to be sick these days in the long and hungry month of March. The Digitization project was initiated in 2005 at the ELRC and we have worked very hard for the past decade to get to this point. This project has employed almost 100 students so far and we are extremely grateful for each and every one of our student research assistants who have grappled with the aging computer network, indecipherable handwriting, numerous protocol changes and much more. We have already started the second phase of this project: verification of almost 100,000 digitized records using a newly developed protocol designed to bring all the records inline with each other. This second phase will take approximately 2 years to complete as long as our student support does not dwindle. We are also in the process of determining the most appropriate migration to a database format in order to make this unique and important collection available to scholars or interested parties. Thanks especially to the great group of students currently working at the ELRC: David Browne, Sarah Budgell, Jordyn Hughes, Janet Kelly, Rebecca Nolan, and Cathy Wiseman. This entry was posted in Uncategorized and tagged Dictionary of Newfoundland English, Digitization Project, digitized records. Bookmark the permalink.